So after having worked on this project for a year, I am ready to let you in on what it is exactly. Real specimins (organs, bones, etc.) can be fragile and in some cases, perishable. Not to mention you can’t always have access to cadavers (if you do and do not work in a medical setting, the NYPD would very much like to speak with you). So I thought: “Hey why don’t I 3D print anatomical models that are as accurate as the real thing but durable?” So that is exactly what I am doing. Pictures and links to my research are on their way. Stay tuned! For those interested in viewing my other research projects, please go to to the link below. I bet you guys were “starving” for another post, huh? Well today, we’ll talk about a condition that affects people who are actually starving: marasmus. So what is it? In a nutshell, it is a type of undernourishment where a person is not getting enough calories in general. This is not to be confused by kwashiorkor which is mainly a lack of protein. How do you tell those two apart? Well you should focus on the stomach as a child with kwashiorkor has a distended stomach. 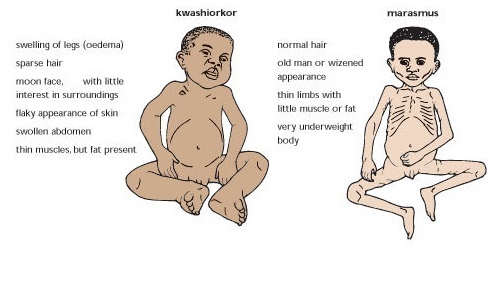 Another big difference is that marasmus starts before 1 year of age while kwashiorkor starts after 18 months. In addition to the physical characteristics above, the person will be fretful, irritable and extremely hungry. The mortality rate in these patients is higher when experiencing an illness or injury. Yet, compared to kwashiorkor, the survival rate is higher. So what does this have to do with south park? Well in season 1, the boys of south park encounter Marvin, an Ethiopian. They get to know Marvin and a very little about Ethiopia. See the link below for the happy ending! So in short: Marvin is starvin’ because he has marasmus. He appeared in Southpark before season 1 was complete and marasmus occurs most often before a person is 1 year old. He is extremely hungry and fretful. It’s probably best if he doesn’t get sick or injured. Interesting note: The rate of marasmus is not that high in Ethiopia. It is actually highest in Mali and Angola. Due to the recent passing of Stuart Scott I thought I would use Janurary 4th to show how medicine really does permeate through life. Even when watching Sportscenter, medicine is there in the background, behind the scenes. Behind the “Booyahs” and suits and ties, behind the Iconic quotes and little black dresses. Sometimes human biology is so covert, you don’t know it’s happening until it’s too late. 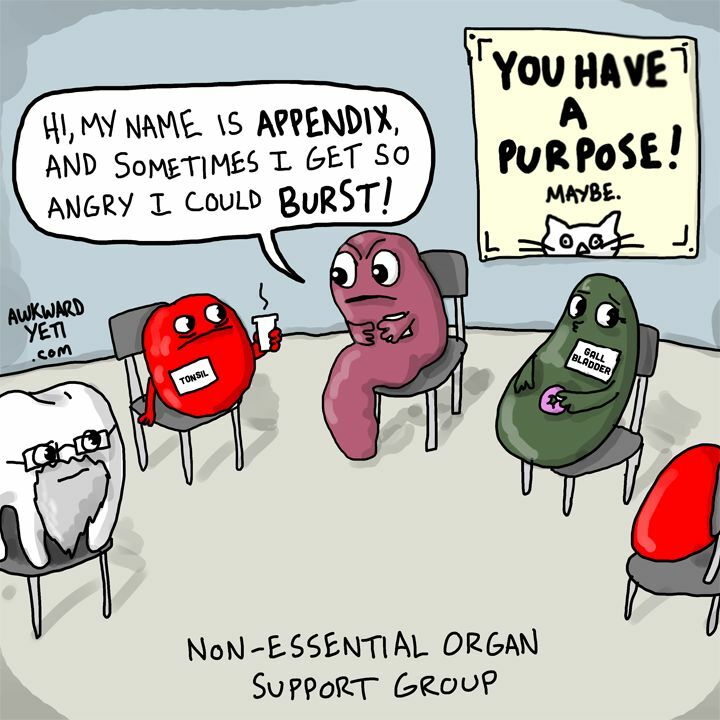 Such is the case with appendix cancer. To start, appendix (or appendiceal) cancer is an extremely rare form of cancer. How rare? Of just intestinal tumors, it only makes up 0.5%. Additionally, it is often asymptomatic. As its name implies, it grows inside the appendix, and only when it is large enough to block the opening of the appendix(or it has already metastasized) does it cause symptoms. The majority of these start in the distal portion, far away from the opening, so you can imagine that it could grow for a while before being a problem. These most common type of (these extremely rare) tumors are classified as carcinoid, which means they grow somewhere in the intestines. You can test a patient’s 5-HIAA level in their urine(higher specificity) and CGA level in their blood(higher sensitivity). However other things like appendicitis must be rule out first. So how is it treated? Well it depends on its size and whether or not it has metastasized. Most tumors less than 2-3 cm* without metastasis can be removed by performing an appendectomy and that’s it. Others will need some combination of chemotherapy and surgery(e.g. right colectomy if the tumor has spread through multiple layers of the appendix). So as you can see, if not caught early, it can spread and become a very serious illness. Unfortunately, we have recently lost Stuart Scott, a prominent and influential sportscaster on Sportscenter. What may be less known is that Audrey Hepburn, famously known for her role in Breakfast at Tiffany’s, also suffered from and succumbed to appeniceal cancer. It is unfortunate two people who were so commonly known had such a rare disease. So with that said, here is Stuart Scott’s speech from the 2014 ESPY’s for those who have yet to see it. Powerful Stuff. **These numbers are from this paper. *** While writing this I found a charity dedicated to appendix cancer, check it out for more information. I Also found this charity started in Audrey Hepburn’s name that tackles several causes. I don’t know much about them so any comments on them are appreciated! Wow, well the “daily” part of daily dose post is difficult to satisfy. Now I know why Jon Stewart’s hair is so grey. I also heard from some friends that my last post needed less technical terms and more pictures. I agree. Additionally that’s a hard way to get readers when one starts out with that topic(like a bat out of hell). So What is it? When one consumes or is exposed to too much mercury. What are the symptoms? It varies case by case as the mode of exposure(inhalation, skin contact consumption etc.) can determine which symptoms are more prominent. They are dysthesias(abnormal senses), headaches, emotional changes, insomnia, muscle atrophy/fasciculations(twitching), and tremors. 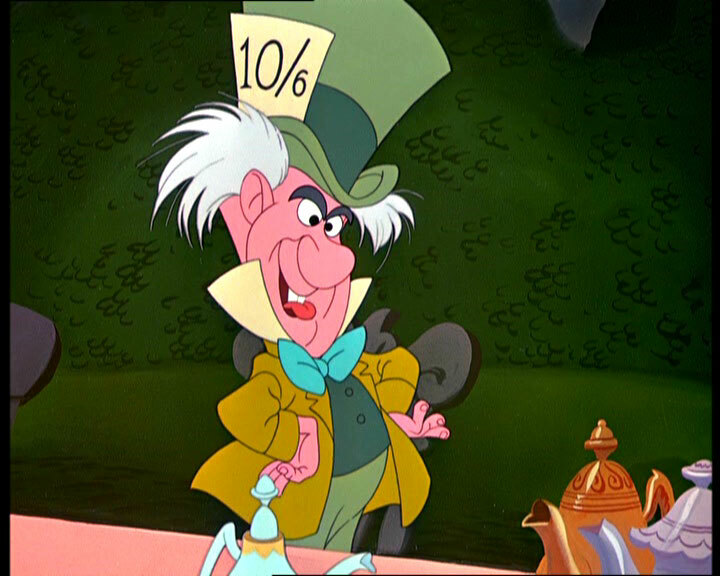 Yet despite all of the advances we have made in hat making technology, it can still occur. in December 2008, Jeremy Piven was hospitalized for mercury poisoning which was attributed to his consumption of sushi twice a day. It could explain why Ari Gold, the character Jeremy Piven plays on the sow “Entourage”, had so many emotional outbursts and headaches. Ok so how is it treated? Well besides cutting back on the sushi (tuna, swordfish, shark and mackerel), patients can also go under “chelation therapy”, which basically means the drug takes up the mercury and the new molecule formed as a result can be excreted from the body safely. For more detailed info, I recommend checking out this. Hey there everyone! 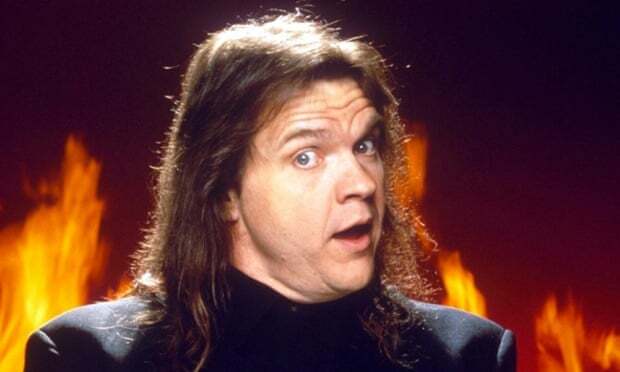 This is a test post. If you are reading this it’s because this site is still new or because you wanted to procrastinate learn about medicine and the unique ways it permeates through our lives. So kudos to you reading interesting stuff! Your parents/legal guardians would be so proud.